Bock was processed at the McCracken County Jail. Former McCracken County Property Valuation Administrator Nancy Bock turned herself into the county sheriff's department this morning. Bock is charged with one count of Theft by Unlawful Taking Over $500 dollars and seven counts of Second-Degree Forgery. Kentucky State Police uncovered over $6,000.00 in theft in the form of forged travel vouchers and unauthorized credit card transactions over a five year period. Bock's arraignment is Thursday in the McCracken Circuit Court. Her attorney Mark Bryant says she will enter an initial plea of not guilty, but says that will likely change. "Eventually we’ll have a hearing in the case, and I anticipate my client will enter a plea of guilty." Bryant said. "I just don’t know yet what that will be to, because that’s still in the making." Bock was processed at the McCracken County Jail. She posted a $5,000 dollar bond. Bock resigned from her position on Friday. 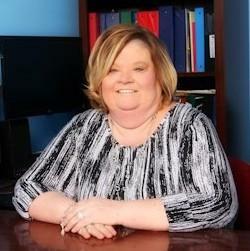 McCracken County Property Value Administrator Nancy Bock resigned Friday after accusations of theft and forgery.